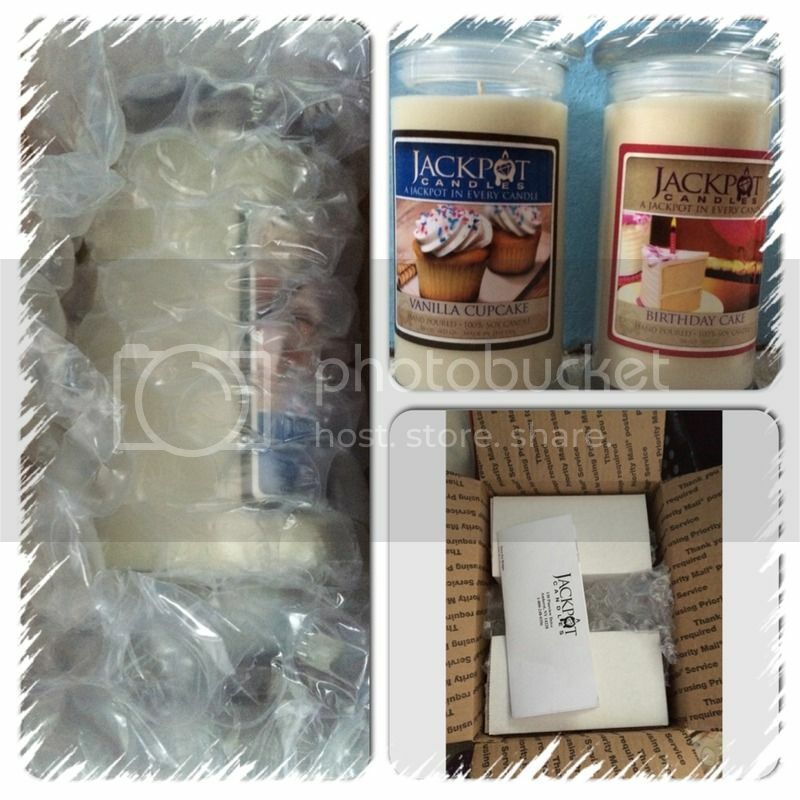 I was very thrilled that I have the chance to review two different scents of candles from Jackpot Candles today. I choose the Vanilla Cupcake and a Birthday Cake scent. Knowing the awesome scent they will have on our premises whenever I let them is what I'm thrilled to experience. I always love to bake cake and cupcakes which makes the house smell so good, and at this time I would be able to experience the smell around the house without baking. Another thing that I'm delighted with the different scents would be the surprise item in the candles. Yes, there is a hidden piece of jewelry in each candle that would reveal its value the minute I find them while burning the candles. 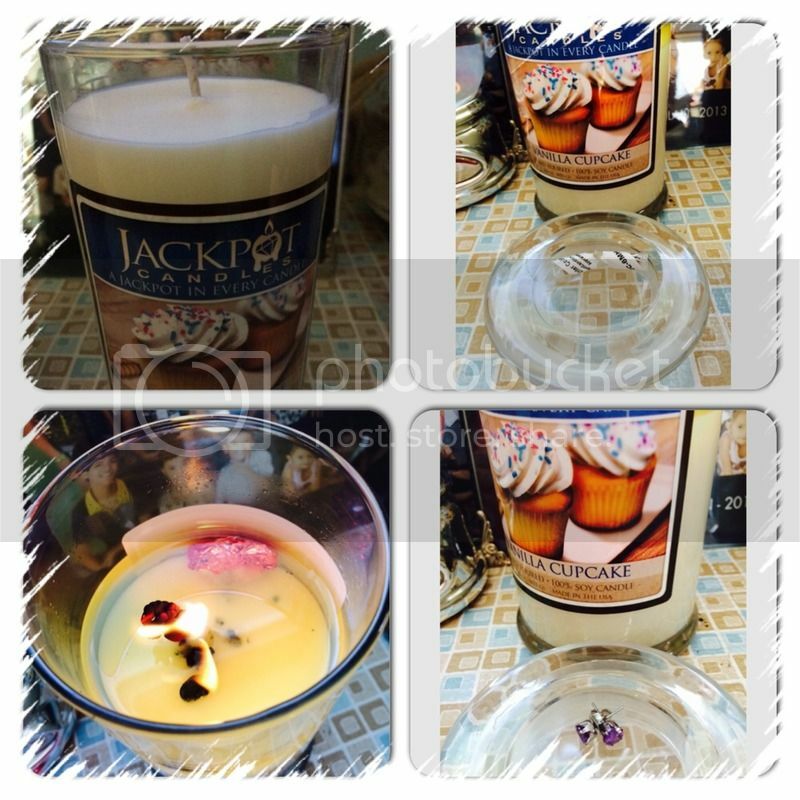 Jackpotcandles.com carries plenty of unusual candle scents online. I lit the candles in different rooms to reek their unlike flavor, in a good way. At first, I could not smell any aroma at all until I asked my husband if he smelled something and told me he is smelled sort of a cake aroma. The packaging of the products is indeed great, I received them through the USPS with a FRAGILE note on the box. They even bubble wrapped each candle in its own boxes to ensure that the candle will reached the buyer safe. I have found the surprise item in my candles and I'm ecstatic to know that appraisal value of each jewelry. 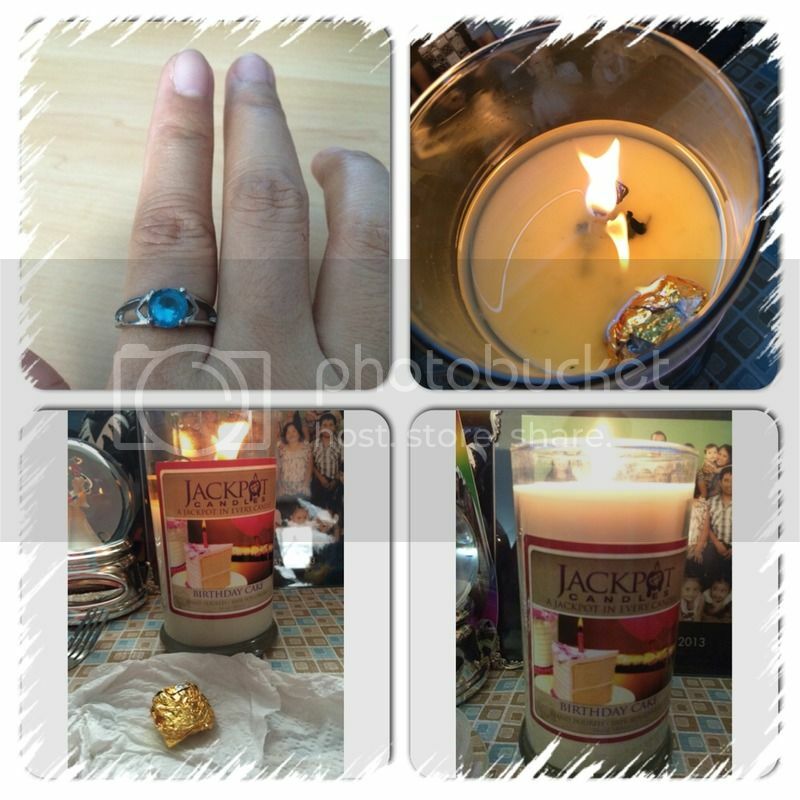 For the Birthday Cake Candle, I have a size 6 ring that has a value of $27.00. It is not much, however the excitement and the worth of the ring is valuable enough for me. In the Vanilla Cupcake candle I found a nice pair of earrings and has a value of $18.00. I love the design of the earrings that I got. Just to give you hands up that while opening the surprise item, it will be quite messy but in a good and fun. Where to check the appraisal value, please visit it here: http://www.jackpotcandles.com/appraisal. wow! great surprise item. Like to have similar candles but we make our own candles eh. Love the candles you've got! I like their variety of scent!